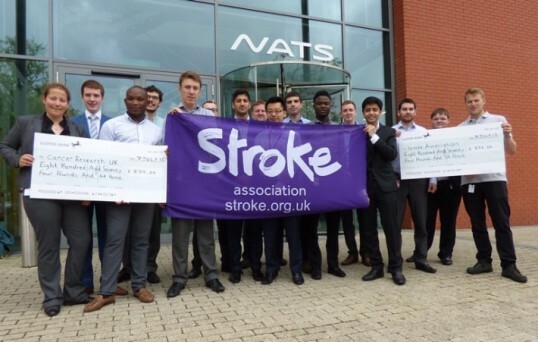 A team of engineers from NATS raised £1,749.27 to help stroke and cancer charities speed up vital research and support work. The Early Careers team organised a pub quiz and raffle where more than 100 NATS workers raised funds for Cancer Research UK and the Stroke Association. The money was split equally between the two charities, each receiving a cheque for £874.64 presented by engineers in the Early Careers Scheme. The Early Careers Scheme is an accredited programme that provides high quality training for graduate, placement, apprentices and engineering technician recruits for NATS.